If you are using Digital ID (Rəqəmsal İD) smartcard, please ensure that SCM Card Reader is installed. There are no additional specific hardware requirements to modern PC (CPU, memory, hard drive) to run AsanDoc Client software. 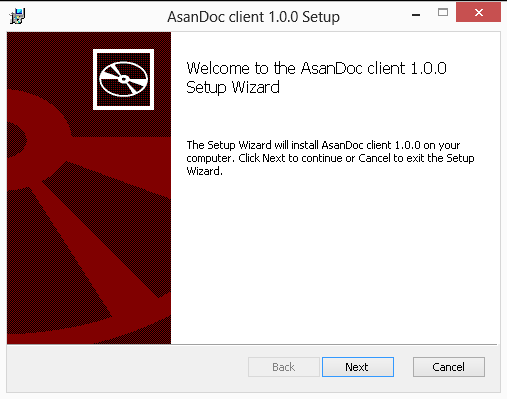 Initiate installation process of windows version of AsanDoc Client by running downloaded Microsoft installer package. Please use superuser permissions to run the installer or contact your administrator. 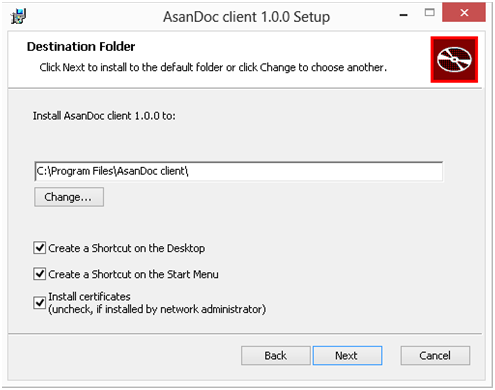 On the next screen you can change the installation path of AsanDoc Client. By default, a shortcut icon will be created on your computer desktop and an entry will be added to Start Menu. Uncheck the corresponding check boxes in case you do not need these shortcuts. Click ‘Next’ to proceed with the installation. 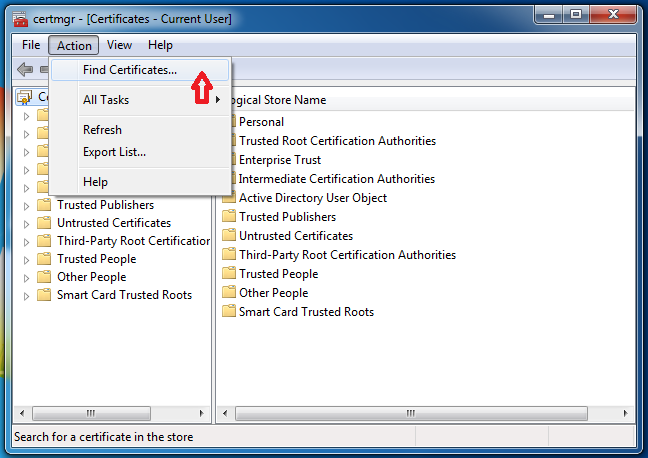 Click ‘Install’ button in the next dialog. After clicking ‘Install’ button window with request for confirmation of your intention to install AsanDoc Client may be displayed. 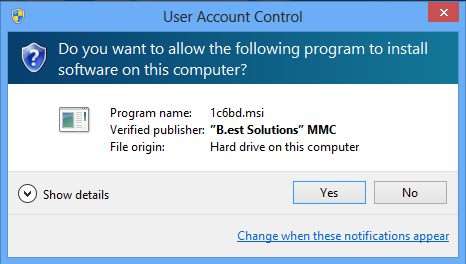 Click ‘Yes’ to continue with the installation. When the installation process has been completed click ‘Finish’ button to close the setup dialog. AsanDoc Client software has been successfully installed on your Windows system. In case you are upgrading AsanDoc Client from version 1.0.0.84 (or anterior) to 1.0.0.194 (or posterior) version please follow the steps below specified. a. Uninstall the previous version of AsanDoc Client. 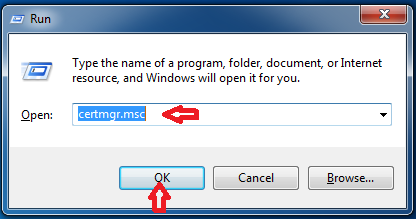 Click “START” button, open “RUN” window, type “certmgr.msc” into command line and click “OK”. 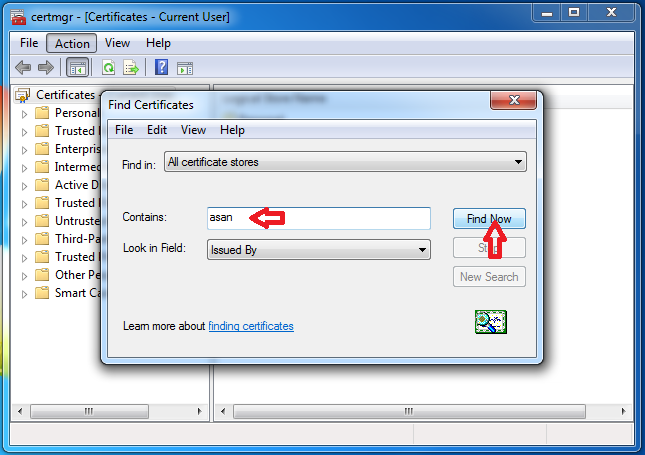 Choose “Find Certificates…” item from dropped down list. Type “asan” keyword into the “Contains” field and then click the “Find Now” button. 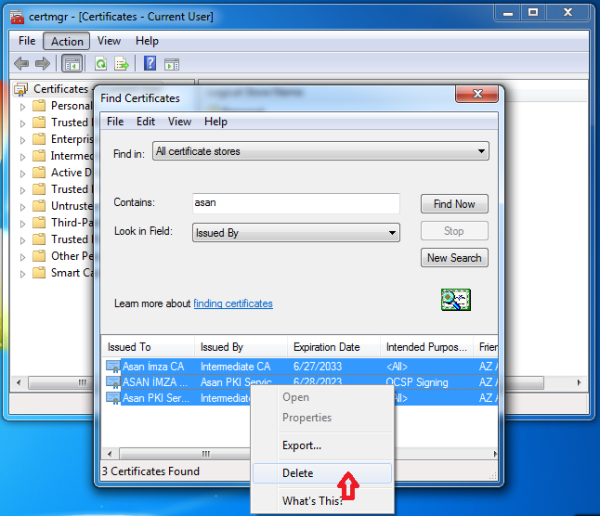 Click ‘Yes’ button to confirm deletion of the certificates. c. Install new version of AsanDoc Client. Initiate installation of AsanDoc Client package by running the Disc Image (.dmg) file downloaded. The software license agreement is displayed. Click ‘Continue’ to proceed with the installation. In the next dialog window click ‘Install’ to begin installation of the application to your computer. 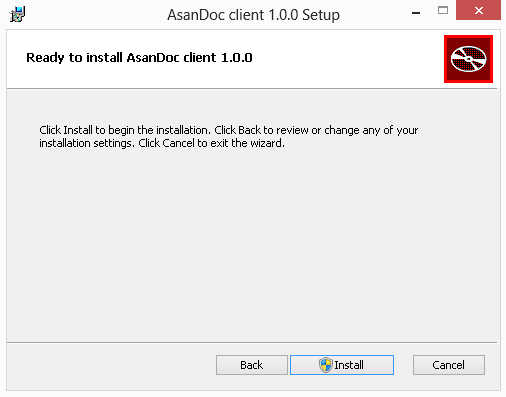 After clicking ‘Install’ button window with request for confirmation of your intention to install AsanDoc Client may be displayed. Please indicate your username and password and click ‘Install Software’ to continue with the installation. When the installation process has been completed click ‘Close’ button to close the setup dialog. AsanDoc Client software has been successfully installed on your Mac system. Add the AsanDoc Client package repository path to your Ubuntu package management system sources list or let your system administrator do that. 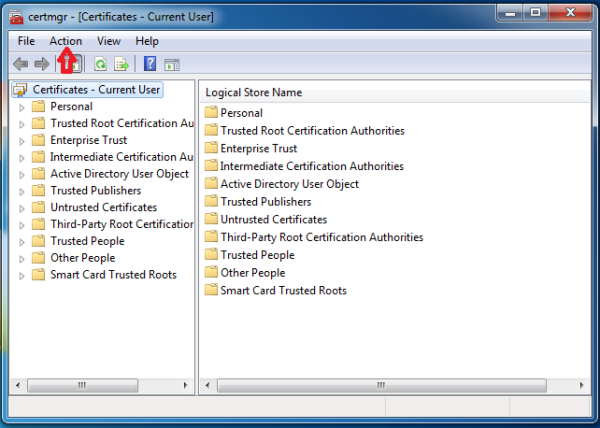 The AsanDoc Client packages are being signed by the key installed by asandoc-keyring package. Hence, update repositories list and install keyring package. In its turn, the keyring package will install the package key on your computer. 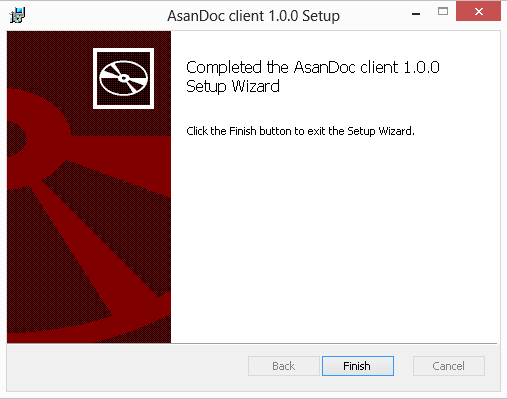 Install asandoc client as a second step. AsanDoc Client has been successfully installed on your Linux system. Add the AsanDoc Client package repository to your Fedora package management repositories list or let your system administrator do that. Add file /etc/yum.repos.d/asandoc.repo using regular user who belongs to the group “sudo”. AsanDoc Client has been successfully installed on your Fedora system. AsanDoc Client has been successfully installed on your openSUSE system.